The Honorable Jun Niimi arrived in Los Angeles and assumed the post as the new Consul General on October 8th. His previous international assignments were to England, Kenya, France, Iran (1995), Minister at the Embassy of Japan in Russia (2003), and Minister (Deputy Chief of Mission) and Permanent Representative to ESCAP at the Embassy of Japan in Thailand (2006). At the Ministry of Foreign Affairs, he has served as Director of the Overseas Public Relations Division (1998-2000), Director of the Consular Policy Division (2000-2001), Director of the Overseas Establishments Division (2001-2003), Assistant Vice-Minister (2010), and served as the Deputy Director-General, Trade Policy Bureau at the Ministry of Economy, Trade and Industry (2008). 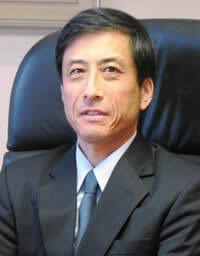 He graduated from Tokyo University, Faculty of Law in 1979, and the same year joined the Ministry of Foreign Affairs. Please join us for this special community reception to meet and welcome Consul General Jun Niimi.